Urban Ashram offers beginner friendly classes like FNR (Flexibility Not Required), FNR Athletics, and Vinyasa (Level 1 and Open Level, while Levels 2-3 are for more advanced practitioners). To relieve stress and to relax, or to ease back into yoga after a hiatus or injury, they have Stress-Free Gentle Flow and Restorative classes. They also offer Pranayama & Meditation as well as Kundalini which involves more chanting. Their Burn and Strength classes are designed to complement athletic training. For moms and moms-to-be, they have Birthlight Prenatal and Birthlight Postnatal classes. Ballet classes and kids’ yoga classes are also offered. Urban Ashram has two branches: the first is in Pasig at Brixton Building (3F), Kapitolyo, and the second is in BGC at Menarco tower (9F), which is at the corner of 9th Ave and 32nd Street. Yoga mats and other props are available for use, but fell free to bring your own. We suggest you bring two towels -- one for showering as it is required to take a shower before a class and another one for your sweat. Bring your own water as well. The introductory price for first timers is P1,500 for a 15-day unlimited pass package, or P3,000 for a 40-day unlimited pass. Regular rates are P3,000 for five classes for the initial availment of their class card (called the Flexipass). Additional class passes cost P2,750 for five classes, P5,000 for 10 classes, and P8,000 for 20 classes. They have Unlimited class passes which cost P750 for one day, P15,000 for three months, and P54,000 for one year. Urban Ashram offers separate passes for Kids Yoga, Birthlight Prenatal & Postnatal Yoga, Ballet, and Kids Ballet. See website for more details on their rates. Packages in urban are some of the best deals, especially the new-to-yoga passes. I find that their classes are heavy on vinyasa and beginner-friendly classes (Flexibility-not-required, gentle flow, restorative, pranayama and kundalini), which is perfect if you want to get your foundations right. They also offer postnatal yoga and ballet classes, if that suits you. I like how they provide free locker keys for safekeeping of valuables. UAM's branches are very accessible -- the Makati branch is a short walk from work and Brixton branch is very easy to commute to coming from my place in Mandaluyong (there aren't a lot of yoga studios in that area, so it's a great option if you live nearby). 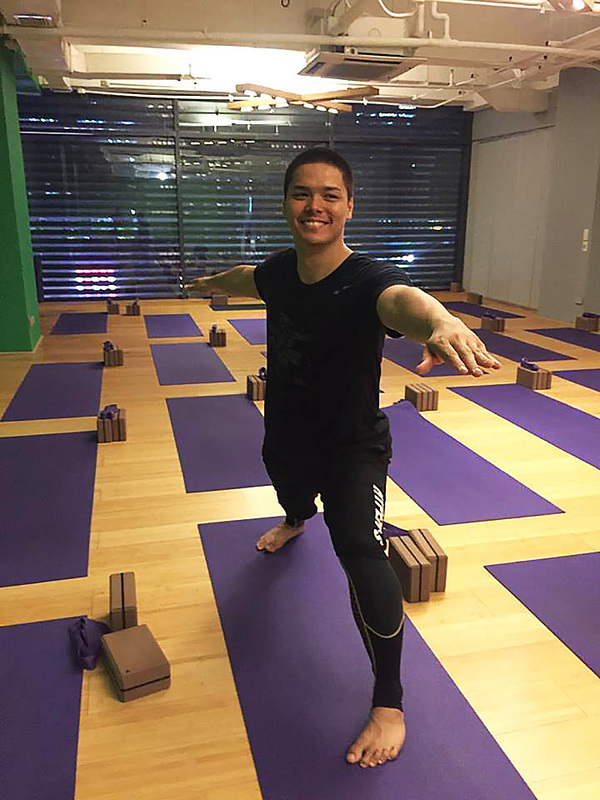 They have classes that cater very well to beginners and people who may be recovering from certain conditions, which I think a lot of people new to yoga would appreciate. Note though that depending on the class, it can get quite packed, which isn't my cup of tea, but go for it if you're the kind of person who feeds off of everyone else's energy! My first yoga experience is with Urban Ashram! I love how it is required to take a shower before the class because it’s something that I didn’t expect and it feels great to have a shower before a class. I love how the instructor was so beginner friendly and really guided the class step by step. All in all, it was a happy and challenging experience. We want to know what you think! If you've been to Urban Ashram, leave a comment below and tell everyone about your experience.